Murray Smith responds to the European dimension of the ‘flutter’ articles. He is a member of the anti-capitalist party déi Lenk in Luxembourg, and of the Executive Board of the Party of the European Left. Having followed with sympathy the emergence of Left Unity and the possibility of a new party of the Left being launched, I read with interest the two-part article by an anonymous figure, who may or may not be called Michael Ford, which may or may not be a pseudonym. I’m sure we’ll find out. For the purposes of this article, I will refer to him as Ford. In any case, whoever wrote it, the aim of the article is clearly to try and discredit the perspective of building a new party to the left of Labour and validate that of working with/within the Labour Party to drive it to the left. There will undoubtedly be many replies to Ford from people who are directly involved in politics in Britain, which I am not at present. However, an important part of Ford’s argument is to try and demonstrate that the political forces to the left of social democracy in Europe don’t amount to much, either politically or in terms of their support. In doing so, frankly, he paints a picture which has little relation to reality. This is what I want to take up . This is the Euro-Left which is the main target of Ford’s criticism, so let us deal with that. In the first place, he writes at one point: “on the basis of this short summary [in which he covers Greece, France, Italy and Germany, M.S.] we can say that the euro-left is hardly decisive outside Greece, that it polls less than when it was explicitly Communist in times gone by…”. In times gone by…well, the times when it was enough to be explicitly Communist and to defend “Soviet socialism” have indeed gone by, and they’re not coming back. At another point, in relation to France, he writes: “the Left Front polls less than half of the vote secured a generation or so ago by the PCF”. You have to go back to 1978 to find the PCF polling more than 20 per cent in a national election. Since then, in that “generation or so” rather a lot has happened: the neo-liberal offensive, a change in the relationship of class forces within countries and on a global scale, the collapse of the Soviet bloc, the ideological offensive, “the end of history”…That does not only affect the European Left. The Portuguese Communist Party, which is explicitly Communist (as, by the way, are the French, Spanish, Austrian, etc.) and not part of the EL, was getting 15-20 per cent in the 1970s and 80s and less than 10 per cent from the early 90s until 2011. Of course, not everything can be explained by the broad objective factors mentioned above. Political choices can make things better or worse. The PCF paid a certain price for its participation in the Jospin government from1997-2002 and also from an ill-conceived presidential campaign in 2007. Conversely, it has benefited from its role in the 2005 referendum campaign, from its increasingly clear differentiation from the Socialist Party and from the strategy of the Left Front. 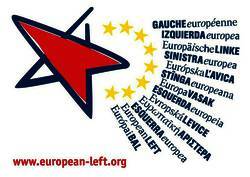 The examples above show the reality and the potential of forces to the left of social democracy in Europe. But there also some problems. Since its breakthroughs in the 2005 and 2009 federal elections and in regional elections in the West, Die Linke has experienced difficulties and setbacks. In the first place there are objective reasons. At the present time a large part of the German working class is enjoying prosperity and is not so open to the discourse of the Left. There are also problems of integrating the components of Die Linke in the East and the West. In the East the PDS was one of only two former ruling parties in the Soviet bloc not to embrace the process of capitalist restoration (the other was what is now the CPBM in the Czech Republic). As a result it has a solid base of support over 20 per cent in several Lander and a network of local councilors. In the West the forces coming from the SPD and the radical Left had to start pretty much from scratch, with the exception of Oskar Lafontaine’s base in the Saar. As things stand now, however, the situation is difficult but certainly not catastrophic and unless there is a very big upset Die Linke will keep its parliamentary group. In Italy the situation is much worse. The participation of the PRC in the Prodi government from 2006-08 cost it much of its electoral support, including, but not only, because of its backing for sending Italian troops to Afghanistan. In 2008 it lost all its parliamentary representation, split almost 50-50 and has since then been in difficulties, waging an unsuccessful campaign in what was admittedly a very difficult election in February. It must also be said that none of the three left groups which split from Rifondazione in 2006-08 has since made any impact. It will not be easy to rebuild the Left in Italy, but Rifondazione remains the starting-point. “To those who speak of moralizing capitalism in order better to keep it, we say that the enterprise is vain and that the manoeuvre will not work. Money has no conscience. Capitalism is incapable of offering any other perspective than the enslavement of the vast majority of human beings. To those who call on us to be reasonable and who propose to regulate capitalism, we say that it is an illusory goal. Without the will to take power from the financial markets and the big capitalists, experience has shown that there is no significant result. There is a contradiction that is increasingly unbearable between capitalism and social progress, between capitalism and democracy, between capitalism and cultural development, between capitalism and ecology, between capitalism and peace. That is why we talk about revolution. A social, citizens’, peaceful, democratic revolution, and not the taking of power by a minority. A process of credible and ambitious change, aiming to break with the logic of the system. That is why we speak of communism, a communism for a new generation”. (Extract from the political resolution of the 36th congress of the PCF, February 2013, my translation). Of course there are other forces on the left in Europe apart from the EL. But it is there that there is a dynamic and an opposition to neo-liberal capitalism that presents an alternative on a European level and seeks to build a European social and political front. For an overview of the new parties of the Left in Europe and a detailed look at several of them, see Kate Hudson, The New European Left, Palgrave Macmillan, 2012. Is it possible for you to email me a copy of this article as a PDF or WORD document as I would like to print if off (the web version seems to be very confusing with different typefaces etc., for some reason) and circulate to a few other people Thanks. Absolutely. I agree with the analysis of most of this article. I don’t accept that those who reject the obsession with 1917, and the party-building methods it has made infamous, are all necessarily ‘reformist’. There is a huge gap between these two poles and that is what Left Unity should be about – building an anti-capitalist party which stands for replacing capitalism with a democratic alternative system – though we can argue about the details of such a ‘socialist’ system. I realise that this next bit is getting ahead of ourselves a bit ;) but the strategic/tactical balance between electoral work versus revolutionary/mass action will be an organic and (dare I say!) a dialectical one. Building a huge movement of popular/working class activism can lead to electoral success, leading to greater activism and an explicit link between elections and mass action (or revolution) to ensure that the ruling class do not use economic or state power to crush the left government. The mass action is needed further to guarantee control of state power by the popular movement and ITS government. Phew! I need a lie down now, but it’d good to dream sometimes. This was a very interesting and plausible contribution, Murray, until you had to go and spoil it: “Arthur Scargill will go down in history as a courageous and principled working-class leader.” It leads me to question the other facts/opinions in your piece – a pity as they ring true and are a good rebuttal to Mondeo-man. I will never forget when the organisation I worked in invited him to speak, not long after the strike. The result was a generational split that I have never seen anything like since. Younger people who had little in common politically were all unanimous in their opinion of Scargill as sad and irrelevant. The older people looked upon him with a reverence. But the point is this: the ‘great strike’ should have been a learning experience for the left about how not to run a struggle. Of course some great stuff happened – I was involved more or less full-time throughout – but very little of it down to old Arthur. There was plenty of bad: like the playing into the divide-and-rule that undermined the strike from the start; the stupid tactics, going for macho stand-offs (Orgreave) rather than listening to his own members good advice; the intransigence and castigation of anyone who did not agree with him – which continued well after the strike, ending in the sad legal battle with his own union over the aristocracy of labour pad. Most of all it is the politics of “I’m always right and will be forever, have no regrets, anyone who differs is wrong and it is only due to betrayals that the strike was lost” etc. Sound familiar? That is not exclusively ‘Stalinist’ but a macho megalomania that has a malign effect on everything it molests. No surprise then that the SLP bombed and that other sects run on similar principles are imploding as we speak or never grow and have a horrible history of pimping off other people’s hard work. Let’s hope that those politics have no trace in LU. Really useful article here Murray. I couldn’t believe how badly informed the secret senior labour movement person was about what was or is happening on the left in Europe. Just one point. You state: “It will not be easy to rebuild the Left in Italy, but Rifondazione remains the starting-point.” I think this is only very partly true in the sense that people have to take that relatively recent experience into account when discussing how to rebuild now. Also physically many of the activists involved in that project will be also be an important component of any reconstruction today. What is left of Rifondazione as a name today is the group led by Paulo Ferrero who was a driving force behind the constitution of the Ingroia led coalition in the recent electons. His intervention along with other apparatuses and top leaders like Di Liberto and Di Pietro led to this coalition being set up in a way completely differently to how the original movers of the Cambiare Se Puo appeal wanted. It became a top down rather than democratically organised bottom up coalition representing the real movements. The main considerations of Ferrero and Di Pietro was to regain their parliamentary representatives. They received a derisory vote. Today the redundant workers of the Rifondazione apparatus are in open war with the leadership over compensation. The other major component of Rifondazione, who just failed to get a majority and continue with the name, is Vendola’s SEL which hooked its wagon to the PD electoral slate. It was rewarded with a decent number of MPs or this ambiguous soft left line but with its erstwhile ally now in bed again with Berlusconi and Monti in the new government Vendola and friends are in opposition…but an opposition that will be constructive he says. He even congratulated Letta, the moderate PM! So I am not sure that Rifondazione will be the major starting point for reconstruction. Today, the 11th of May there is a Left Unity type meeting going on in Bologna which is trying to start the rebuilding. Turigliatto, Russo Spena, Cremaschi and other ‘historic’ leaders of the radical left are involved. Other forces on the radical left are even more pessimistic about the situation and believe such traditional left initiatives are not what is needed and that the real question is building networks and movements, building everything from the bottom up and creating new spaces of resistance. Of course the two processes could go on together. The ferment inside the PD with the youth particularly in revolt over the new national coalition provides some additional purchase for any left unity type projects. I hope Left Unity succeeds – indeed that the infant global movement towards genuine morality in politics races into properly underpinned power. But I must say I am amazed (with regard to the article – and particularly to Dave K’s significantly out-of-date comments – above) that Beppe Grillo’s 5 Star Movement’s incredible and well-deserved success in winning more seats than any other single party in the recent Italian election – and then being effectively outlawed by the traditionally criminal + weak forces of the exhausted & historically divided right & left (pace Vendola perhaps?) – hasn’t even been discussed. It is a real Movement towards morality – and Left Unity will, I most sincerely hope, be making seriouis contact with it. Yes the M5S movement is significant and is the main intransigeant opposition in parliament and to a degree outside. People on left need to work with its militants on campaigns and actions. However you also have to read Grillo’s blog concerning May 1st where he tends to write off the organised trade union movement completely. One thing is to criticise how the CGIL, UIL and CISL leaderships are collaborating with the austerity government it is another thing to ridiculise and sneer at organisations that can on the ground defend working people. He has defined unions as just representing a bloated, corrupt public sector or the political caste. I have written elsewhere on this site and on the socialist resistance site on M5S and the left. It is definitely not a UKIP or right wing force but it is not a clearly left wing force either. You might like to examine some of Grillo’s comments this week again on the right of migrants born in Italy to become Italian citizens by right. He is fudging it again by calling for a referendum to decide on this. As the author says, he’s not working in UK politics, so his views are a little abstract. Of all the “left” parties in Europe, Syriza has come closest to winning power. This was on the back of massive disillusion with PASOK and its role in accepting Austerity in Greece from 2009-12. Pasok’s vote consequently collapsed from 43.92% in 2009, to 13.18% in 2012. We’ve seen no such a collapse in the Labour Party’s vote in Britain. The fact that Syriza didn’t win was partly down to sectarianism towards it by other parties of the left. Criticisms of its programme must be made within the context of supporting its implementation. A Syriza-led government would meet serious resistance from the leaders of the EU and International Capital. Its leadership will either compromise, or fight. To ensure that it’s the latter, socialists need to be organized within the Syriza coalition. The situation in Britain is very different at this stage. The biggest danger we face can be seen by simply adding up the Tory and UKIP votes. Together, these two right wing parties had 48% of the national vote in the May Council elections. This gives UKIP leverage over Tory Party policy and the possibility of forcing policy changes, or even a coalition on the Tory leadership. Labour has controls of the City Council and has been able to enact some modest reforms; building council houses for the first time in 20 years and has implementing a living wage. This suggests that best tactic for the next General Election is not a head on national challenge to the Labour Party. There may be one or two areas where socialist candidates could win against right wing Labour. But the main task is to be supportive of the return of a Labour government, while not being uncritical of the policies of the Miliband leadership. Len McCluskey’s warning over his policies will become a much more urgent question when Labour are in power again. The Peoples Assembly has shown that its possible to organise members of the unions, the LP, Greens and Socialists to campaign and discuss the policies we need. Like to hear more about this, progressive politics in Italy is always interesting. Murray largely fails to include Eastern Europe in Europe. Why? The situation across the ‘desert of transition’ under capitalism restored is a veritable epistemological arsenal for the international left. The EL has links with various various member or observer parties there. Kate Hudson THE NEW EUROPEAN LEFT (2012), footnoted by Murray, has some comment on Marxist parties in Eastern Europe, such as the CPRF in Russia (http://goo.gl/2Ls6e ), which has a strong electoral base (ca. 20% in electoral terms). Hudson devotes an entire chapter (pp. 132-146) to the CP of Bohemia and Moravia in the Czech Republic, a growing party that Murray mentions only by name in passing. GERMANY: What about the DKP in Germany (http://www.dkp.de/ ), to the left of much of DIE LINKE? AKL (Anti-Capitalist Left) in Germany is a formation inside DIE LINKE on its more radical left, and somewhat independent of the party structures and positions http://www.antikapitalistische-linke.de/ . I deliberately chose not to try and deal with Central and Eastern Europe, because the situation there is so different from Western Europe and it would have considerably lengthened the article. And also because our anonymous critic concentrated on parties in Western Europe. Not at all because what is happening in Eastern Europe is not interesting or important, on the contrary. The EL does indeed have member and observer parties there. Both the CPBM and the DKP are observer parties, and we pay a lot of attention to the entire region. It would be futile for Left Unity not to affiliate with the GUE-NGL so as to establish real ties with SYRIZA, Die Linke, Front de gauche, etc. On a sidenote, I hope Left Unity does *not* replicate the “this is true of the Labour Party, in the sense of trade union affiliation and the role of the unions in the party” part. If it is to establish connections with the broader strata of what are called “freeters” in Japan and “precariat” in economist circles (outside that recent British Sociology horse manure), LU must import Continentalism. On a technical point, I would also add the Respect Party (and possibly still the SLP), which probably lies between thsoe two membership figures, though I doubt either would play a good role in developing a new socialist project.